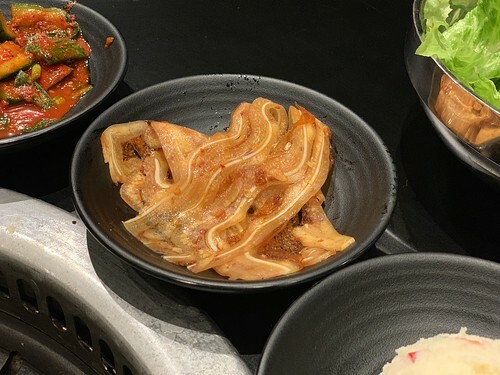 There's a full set of banchan, of course, but this location has some pig ears, which I thoroughly enjoyed. The Combo A is actually quite a lot of food. 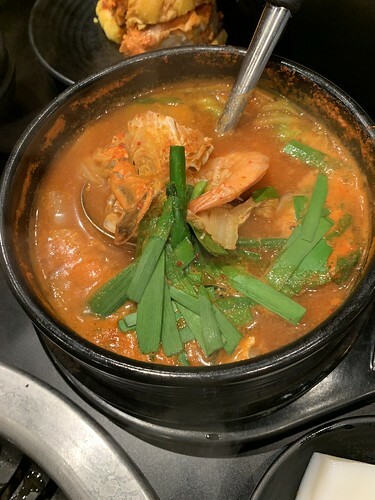 In addition to the eight slabs of pork belly, it also comes with a seafood stew, filled with shrimp, mussels, and more. At Eight Korean BBQ, the kimchi fried rice was cooked in the seafood stew pot using the leftover broth. 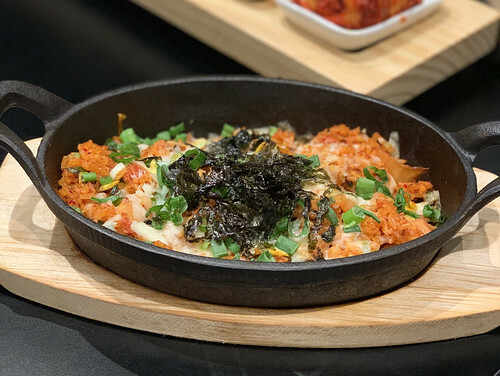 Here, the kimchi fried rice (topped with melted cheese) is served in its own pan at the same time as the stew. My friend liked it better this way, because we tend to leave a lot of broth behind and this way the fried rice is crispier. We ended up taking some fried rice and some pork belly home because it was just so much food. One thing that Porkfolio has that Eight did not is the K-town Burger. 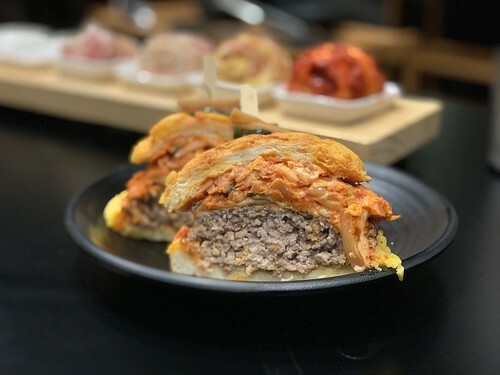 The burger is a thick pork patty topped with kimchi and aioli, and it is served between bolo bao instead of regular burger buns. If you're not familiar, bolo buns (also known as pineapple buns because of the way they look), is a slightly sweet bun that has this special, kinda sweet buttery crust on top. I like bolo buns a lot so I'm a fan of this burger. 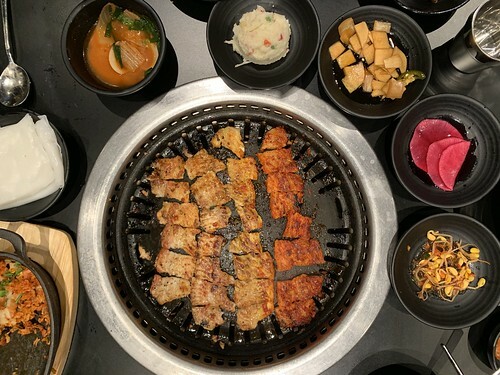 San Gabriel Valley has gotten more and more Korean BBQ lately, but it still could use more! Porkfolio definitely is a nice addition to Arcadia and the Westfield mall, especially for all you pork belly lovers. 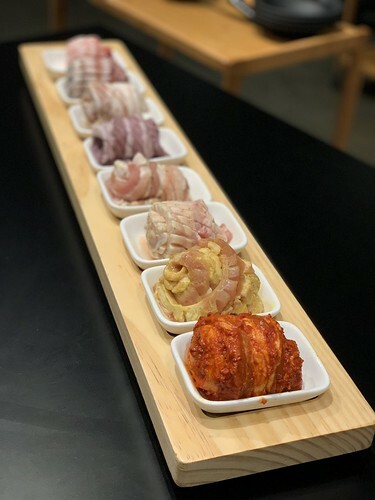 If you live in the area and don't want to drive to K-town, Porkfolio is a great alternative.